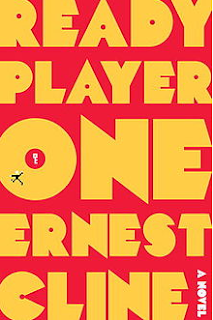 With references to Oingo Boingo, John Hughes, the movie Heathers, The Muppet Show, and Atari all within the first few pages – shut up, just shut up, Ernest Cline. You had me at Chapter One. Wade comes from a desolate background – no parents, stuck living with an meth-head aunt in a junk trailer stuck atop other trailers (see paperback book jacket below) – so the virtual world of OASIS and the search for the egg is the perfect escape from reality for him. In OASIS, under his code name Parzival, he meets his best friend Aech and master gaming blogger and girl crush, Art3mis, who are also in search of the egg. They start as friendly competitors at first, until an attempt on Wade’s life and the death of a fellow gamer snap them all to attention. With hundreds of Halliday scholars and gamers on staff, a mass conglomeration called IOI makes known they’re going for the grand prize and will kill – both virtually and in reality – to win it. Wade and his buddies aren’t just playing for billions anymore – they’re playing for their lives! There’s no way my book review – or any book review – can do justice to Ready Player One. 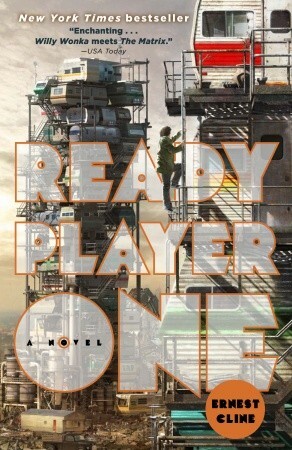 Just as Wade and his fellow gamers would adjust their headsets and lose themselves in the virtual world of Oasis, I adjusted my reading glasses and lost myself in Cline’s retro futuristic world. In one of many fantastic scenes, while on his journey to obtain the first key, Wade is virtually inserted into the movie “WarGames,” a Halliday favorite, and must recite word for word everything the Matthew Broderick characters says – bonus points for delivery, ha! It’s then mentioned that afterwards, a gaming company loved this concept so much, they created their own version with all kinds of famous movies. If and when this happens, I’d like to personally request “Sixteen Candles” - particularly the last scene with Samantha and Jake sitting on the table, when Samantha blows out her birthday candles and Jake says, “Happy Birthday, Samantha. Make a wish,” and Samantha says, “It already came true”, cue kiss, crank up the OMD, and roll credits…sigh. I will make a fabulous Molly Ringwald. 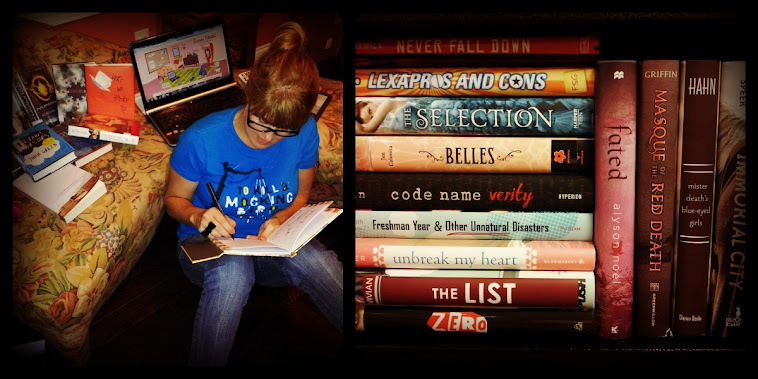 You don’t have to be an 80s aficionado or gamer to thoroughly enjoy Cline’s literary treasure hunt. No surprise, Hollywood’s already jumped all over this, and a screenwriter is banging out a treatment as I type – now THIS is the kind of book that will be amazeballs, special effects and all, onscreen. Cline’s website is as cool as you’d imagine – all gaming icons and old school pop culture – so be sure to check it out at http://www.ernestcline.com/ .